THE SOCRATIC concept of true knowledge is the ability to know how little one knows. The world’s greatest scientist, Newton compared all known knowledge to one grain of sand on a beach. These equally apply to books: Those who are regarded as well-read or voracious readers know that they had read a microscopic fraction of all the good books written – even in one genre. And some great books are forgotten and remain almost unknown. One lifetime is not enough to read all the works (including the critical analyses and interpretations) of the books of only Shakespeare in English or of Kalidasa in Sanskrit. That was, perhaps, how the sarcastic adage that “Classics are books everyone knows about, but no one reads” came into being. But, though unread, classics are known. Will Durant, the American author and philosopher, is famous for his classic ‘ The Story of Civilisation’. How many know of his ‘The Case for India’? The book moved me so much that I felt the government should have bought millions of its copies to distribute them free to anyone who can read English. Another of his books, Our Oriental Heritage also would have made India proud. I once toyed with the idea of pirating ‘The Case for India’ and distributing it free to thousands or making it a free e-book. Some very good books are forgotten and stay unknown, hidden under the dust of history. 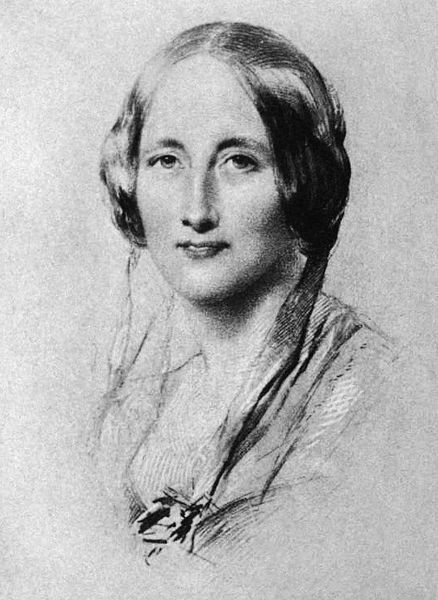 I (and perhaps most readers) had not heard of Elizabeth Cleghorn Gaskell, a contemporary of the great Charles Dickens in the mid-1800s.I would never have known about her if I was not listening to an audiobook of D.H. Lawrence, found it boring and moved on to readers’ comments. One of them said Gaskell’s ‘Mary Barton’ was much more interesting. I had not even heard of her and downloaded that audio book. Besides ‘Mary Barton: A Tale of Manchester Life” she also wrote A Dark Night’s Work, The Grey Woman, The Life of Charlotte Bronte. My Lady Ludlow, Round the Sofa, North and South, Mr Harrison’s Confession, Wives and Daughters, Ruth, Cousin Phillis, Cranford and the Cage at Cranford, The Moorland Cottage, Sylvia’s Lover and The Pastor’s Wife. All these books are available on the free audiobook site, Librivox. I would not have known about the book had I not discovered, due to the fear of impending blindness, audiobook sites (I subscribe to several such sites) and Librivox, a site which has most books whose copyright had expired, enabling them to be put ‘in public domain’ with the help of volunteers who read them. Librivox also has an e-book version GuteBooks for those who can read on screen. ALL the books by Gaskell have received 4, 4.5 or 5-star (out of 5) ratings from the listeners. Some books are available in more than one version, read by a different person. Mary Barton was Elizabeth Gaskell’s first full-length novel. It was published anonymously in that tumultuous year of political change, 1848 – only a few months after the Communist Manifesto co-authored by her fellow Manchester-resident, Friedrich Engels. Engels’s experience as agent in his father’s cotton-spinning factory motivated him to write “The Condition of the Working Class in England”, a classic account of the sufferings of the poor under the factory-system. “I know nothing of Political Economy, or the theories of trade…” She was, however, determined to portray, in novelistic form, the intimate connection between the private experience of her characters and the social forces of her time. The success of the novel led her to proclaim her authorship and move on to further works of fiction, which have secured her in our times a mounting reputation as one of the leading novelists of the mid-Victorian period. Certainly, the novel features numerous death-scenes, all conveyed with a depth of sympathy that contrasts with the queasy iambics with which Dickens orchestrated the notorious demise of Little Nell. Mrs Gaskell was not, like Dickens, a London-based novelist observing the sufferings of the provincial poor with a journalistic detachment – as evidenced in his own admirable, Lancashire-based novel “Hard Times”. Gaskell lived among the people whose attenuated lives she chronicled – and however hesitantly, as a début novelist, she rendered their experience in literary terms, her writing presents us with a true insight into the sufferings of individuals at a point in history when the mass of human beings fell casualty to the forms of economic progress following upon the Industrial Revolution. Most impressively she called into question the political and social cost of creating a resentful proletariat despairing of survival in (to quote Karl Marx) a “heartless world”. Our reader Tony Foster is a resident of Manchester and a near-neighbour of Mrs Gaskell (allowing for their separation in time). His superb narration renders the native speech of her characters with an authenticity which ideally conveys the spirit of this book. A truly moving experience awaits everyone who gives ear to this ‘Tale of Manchester Life’. Much has been written about India’s poverty and books or films (like Satyajit Ray’s Pather Panchali) which portray it have a big market (and win awards) in the West where the common man still thinks Indians live on trees. But the picture of utter poverty of the working class in 19th century England is startling. Most of the readers must have read Mulk Raj Anand’s classic ‘The Untouchable’, at least as a prescribed reading for examinations if not out of concern for an oppressed class of the country and a reflection of India’s greatest evil, the caste system. However, in my reading for 70 years, I had not come across any mention of the Cagots of western France. Elizabeth Gaskell wrote of them in a story ‘An Accursed Race’ included in book of stories ‘Round the Sofa’. Her portrayal of the inhuman way the Cagot tribe was treated all over Europe and even by the Church is not just appalling; it shows the Indian ‘Dalits’ were not treated half as badly. The other stories expose how the aristocracy discriminated against the ‘commoners’ and even denied them education. And yet the world knows of only the Indian untouchables and caste. The same Church used that oppression and deprivation to convert millions, adding only to its numbers without improving their social status in any way. Other religions followed the same technique besides coercion. All that came of the conversions was creation of vote banks and politics of hatred. It is significant that fiction and literature took up the social issues of discrimination, poverty and inequality, strengthening the efforts to set right the system. 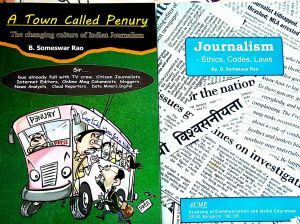 Very little of such use of literature and fiction is seen in India. True some films and books did come out against economic inequality, corruption and caste system, but they were very few or executed badly. I am not aware of any literary works that exposed the crimes against Kashmiri pandits or victims of caste reservations, sexual harassment or other evils. With smart phone usage going up day by day in India, it is time a free audio and electronic book site of Indian books comes into being. On one of the audiobook sites I borrow books from the Toronto Public Library in Canada. Is there a single public library in India which has such a facility?